With the start of fall quarter on Sept. 28, UC San Diego is unveiling a number of initiatives and programs that will enhance the student experience, including new graduate student housing, degree programs, arcades, eateries and more. In addition, the campus is rolling out new traditions such as Changemaker Day on Oct. 25, which will support student social entrepreneurs to benefit the campus and surrounding communities. 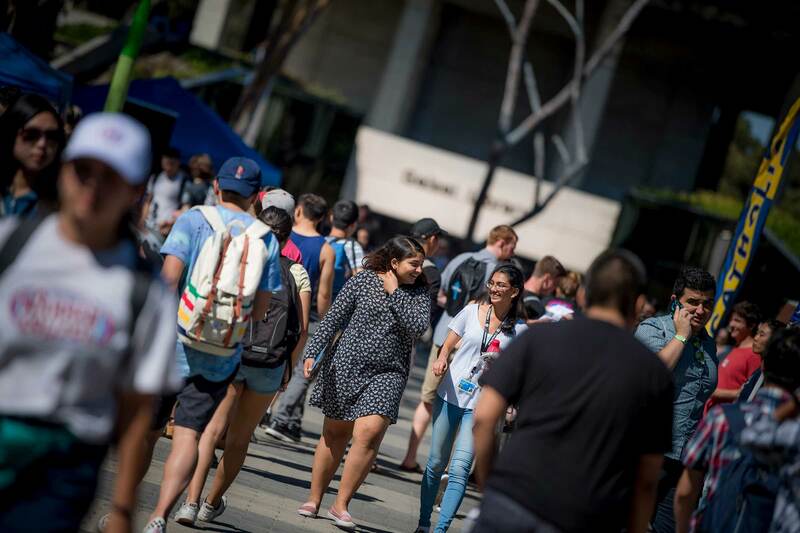 UC San Diego expects to enroll a fall class of nearly 8,600 new students who are academically well prepared, talented, and represent a broad diversity of backgrounds, perspectives and cultures. The incoming freshman class has an overall grade-point average of 4.08, an average SAT score of 1858 and an average ACT score of 29. The new transfer student class has an average grade-point average of 3.46. The new students have declared majors across 41 academic departments in the Arts and Humanities, Social Sciences and STEM fields. The campus estimates enrollment numbers for undergraduate and graduate students to be a record 36,400 this fall. To accommodate our growing student population, UC San Diego’s Mesa Nueva graduate housing project was recently completed and students have already moved in. 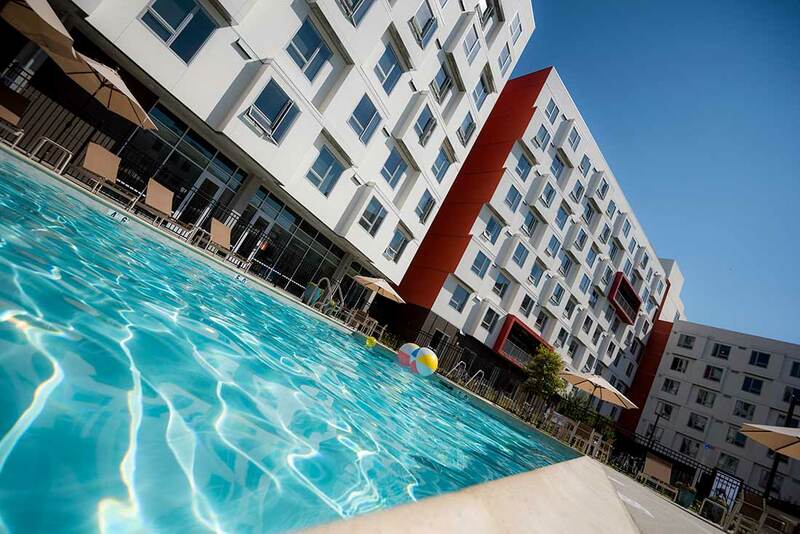 With the addition of 1,350 beds, the residential community is one of the largest graduate and professional student housing programs in the University of California system and one of the biggest in the country. The new Mesa Nueva units have a pool and surround an open space where students can gather to play volleyball, bocce ball or relax on the grass. In addition to being on track for LEED (Leadership in Energy and Efficient Design) Gold Certification, the Mesa Neuva units answer a demand for both housing space and a greater sense of community for students. The new developments north of La Jolla Village Drive and west of Regents Road replaced 86 older units, built nearly 50 years ago, with revitalized layouts and a number of new amenities, such as a small grocery store, coffee shop and other elements. Additional campus housing projects on the horizon include the Torrey Pines Living and Learning Neighborhood, which will include 2,000 new beds and is expected to be completed by 2020. The campus will accommodate more than 14,700 students living on campus this fall, including 11,264 undergraduates and 3,480 graduate/professional students, plus an additional 1,400 faculty and staff. UC San Diego’s Long Range Development Plan goal is to house at least 50 percent of eligible students on campus. As of fall 2017, that number will be approximately 40 percent; with the additional housing projects underway, the campus expects to be at approximately 49 percent in fall 2020, with more anticipated student growth on the way. The university continues to develop new campus entertainment venues and eateries that enrich student life. This fall, students will be able to enjoy a new arcade in the Price Center, the campus’ central hub. Open 24/7, the arcade to be located in the Price Center West, will feature vintage arcade games such as Miss Pac Man and Super Mario Bros. as well as grab-and-go food and drink options. In addition, other new venues at Price Center East include Seed + Sprout, which specializes in macro-nutrient bowls. Another added dining place for students in the Student Center is Blue Pepper Asian Cuisine, which serves Thai food, Vietnamese banh mi, seasonal entrees and vegetarian meals. UC San Diego is preparing students to succeed in today’s job market with additional degree programs in Data Science, Oceanic and Atmospheric Sciences, as well as new specializations in Linguistics, Cognitive Science and International Business. In addition, the campus is now offering minors in Speech and Language Sciences, as well as Real Estate and Development, which will soon be offered as a new major. Click here to learn more. This past spring, UC San Diego was recognized for excellence in preparing students with interdisciplinary, entrepreneurial and solutions-oriented skillsets with an official Changemaker Campus designation from Ashoka U, the world’s largest network of social entrepreneurs. The recognition is the outcome of an extensive three-year selection process. Only 43 universities around the world have earned this distinction, and UC San Diego is the first University of California campus to receive this designation. On Oct. 25, the campus will celebrate the first Changemaker Day, where students will participate in workshops and learn about community service programs, social innovation initiatives and social impact investing. UC San Diego recently launched a Basic Needs website to ensure each UC San Diego student has the opportunity to focus on their academic excellence. Basic needs refers to the most essential resources required to thrive as a human being, which include access to nutritious food, affordable housing and financial resources. As a passionate campus community and ally to students, UC San Diego’s highest goal is to serve students with respect, offer referrals to on- and off-campus resources based on their basic needs, and increase accessibility to food, housing and financial resources. The campus also recently teamed up with The American Talent Initiative (ATI), which brings colleges and universities together with the philanthropy and research communities in order to expand access and opportunity for talented low- and moderate-income students. The partnership was developed as a result of UC Diego’s efforts to recruit and support lower-income students, learn best practices and contribute to research that will help other colleges and universities expand opportunity. In addition, the Teaching + Learning Commons is launching the Center for Digital Learning, to advance teaching and learning excellence and increase access to education. 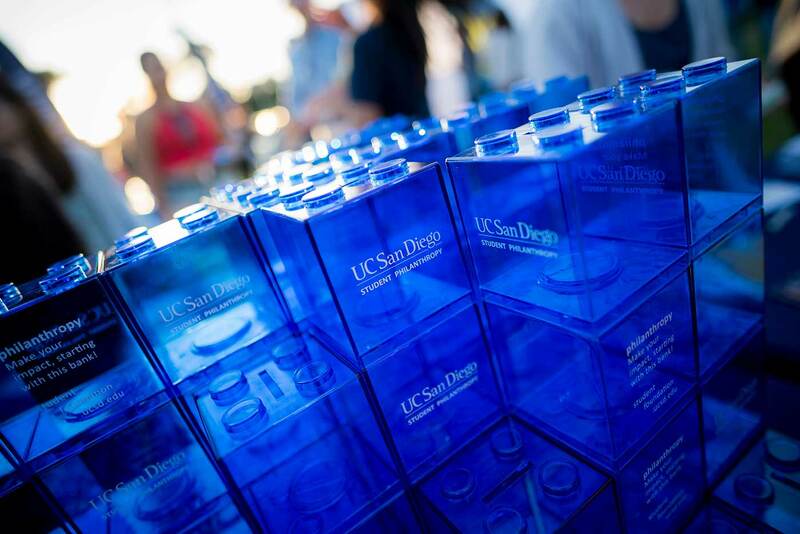 It also will allow UC San Diego to offer greater access to courses online and on campus. The increased access will be especially impactful in summer months, when students often leave the San Diego area for jobs, internships and international experiences.